Being one of my favourite stories of all time, I'm always optimistic about seeing The Wizard of Oz on stage, almost in fear that I won't love it as much as the original. However, Liam Steel's production is not simply the story that we all know on stage, it has been completely transformed with every aspect of the production completely re-imagined. The production still very much follows the same story line which follows Dorothy make her way to the Emerald City to meet the Wizard of Oz, whilst making friends along the way; the Scarecrow, the Tin Man and the Lion. Of course, the gang is joined by the adorable Toto, played by both a wonderful real dog on stage as well as a puppet, which got the audience aww-ing and ooh-ing every time they arrived onto the stage. However, the play is brought to life by the new touches, which made the show one of the most creative productions I have seen in a long time. The creative touches include The Munchkins being brought to life in puppet form, neon door frames, yellow steps to represent the brick road and huge spooky figures which scared even the oldest audience members. The actual Wizard is a huge figure with big green eyes - but it turns out to be an hilarious woman behind the facade, which the audience immediately fell in love with. To say that the cast of this wonderful show are talented would be a total understatement. 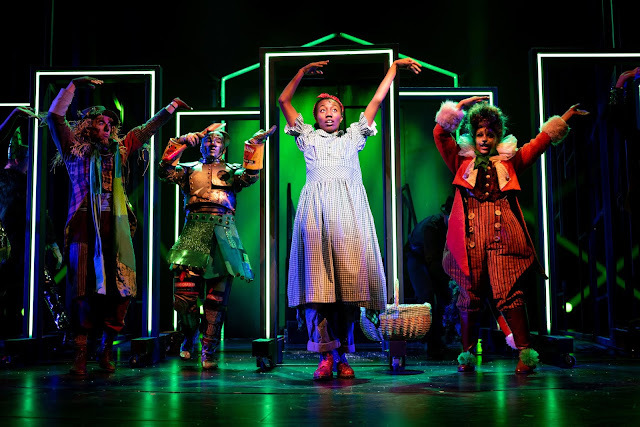 The role of Dorothy was played by Chisara Agor, who managed to get the adorable and naive nature of her character down to a T. The lovable Scarecrow was taken on by Ed Wade, the Tin Man was brought to life with cool dance moves by Dillon Scott-Lewis and the terrifying Wicked Witch of the West was played by the brilliant Jos Vantyler, who managed to combine a classic panto baddie with your worst nightmare. However, the stand out performer of the show for me was by far the Lion, played by Kelly Agbowu. Not only did she play the Lion scared of its own tail incredibly well, she also had an amazing voice which really helped bring some of the musical numbers to life. With all of its twists and turns, this production of the classic story still kept many of the original songs in the mix, meaning the audience could enjoy and sing along with the likes of Ding-Dong! The Witch Is Dead, We're Off to See the Wizard and of course, Over the Rainbow. The songs really helped bring the show to life and combine the old with the new brilliantly. The production's scenes changed smoothly and from one extreme to the next, the show really had a huge amount of creativity in it from start to finish, making it impossible to even take your eyes off the stage, with so much colour and fun taking place at all times. As well as the staging itself, the costumes were breathtaking, from simple fashion in Kansas to shock factor outfits in Oz. 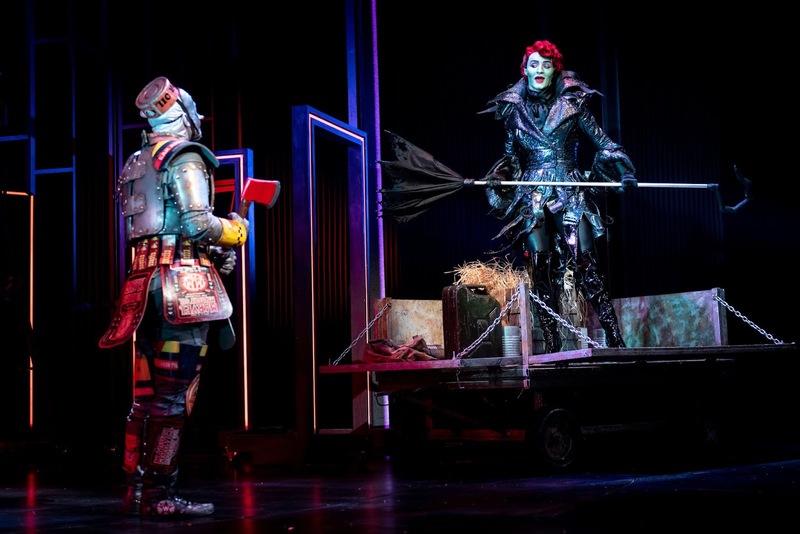 It was clear from the start of the show that this adaptation of The Wizard of Oz is for a new generation. However, although it is a much more imaginative take on the classic story, the meaning remains the same; there really is no place like home. At Christmas time especially, the message is timeless and that is why no matter how many adaptations of the Wizard of Oz there may be, it still remains one of the best stories of our time. 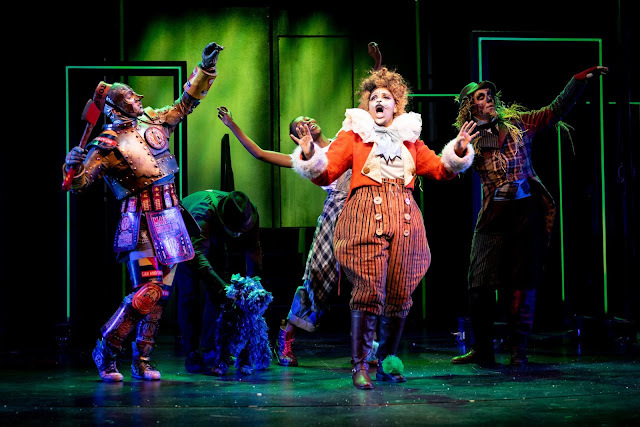 The Wizard of Oz is on stage at The REP until January 13th, 2019.